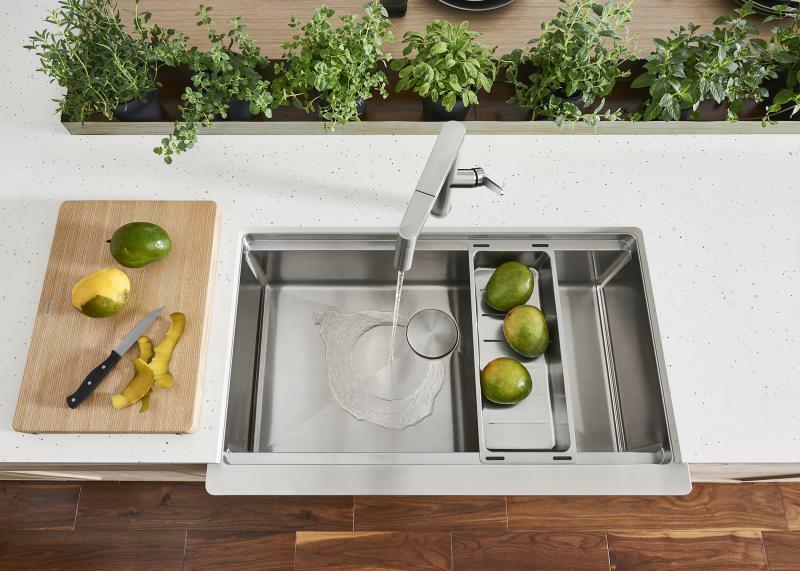 German sink and faucet manufacturer Blanco has introduced a new single-bowl farmhouse sink with a modernized look. Made from stainless steel, the Quatrus R15 Ergon reinvents the classic apron-front product, the manufacturer says. It features a transitional, geometric design, a generous R15 radius, and a rear-positioned drain hole. A high ledge provides a space for custom accessories, including an optional grid, steel colander, and wood cutting board. Made from 18-gauge stainless steel, the sink measures 33 inches wide, 20½ inches from front to back, and has an outside measurement of 36 inches. It’s 9 inches deep.